Booklovers who live a long walk away from Central Library or Forest Home Library must be thrilled to know that on October 7 a new Milwaukee Public Library will have it’s grand opening at 906-910 W. Historic Mitchell Street, at the corner of 9th and Mitchell. the building was originally built in 1919 as a Hills Development store. Before construction, the structure looked like any old abandoned building one would walk past one their way to school. Now, one can see the vibrant colors of the chairs, the new computers and technology through the library’s large, squeaky clean windows. The community seems excited about the library as well. Mayor Tom Barrett said, “We want the kids in this city to be using our libraries both in the summer and after school,” (Glauber, 2015). The director of the Milwaukee Public Library, Paula Kiely, said, “[The Mitchell St. facility is] going to be a real jewel” (Glauber, 2015). Have your library card ready for October 7. If you don’t have one, go to any Milwaukee Public Library with two forms of identification and ask for a library card at the reference desk. The first library card you get is free, while any additional library card will cost only $1! “Hamilton” is the stellar musical that took the world by storm in a matter of months. It is loved and listened to by all kinds of people. Hamilton is an american musical is a world phenomena. Some people question why is it so great, or if it’s just overrated. Many people disagree with the second part of that statement. The musical is all about our founding fathers of America, it’s not just like any other musical because it mixes hip-hop and R&B with 60’s pop. You aren’t just getting a twist of musical theatre, you’re also getting a learning experience unlike any other. Alexander Hamilton was one of the founding fathers of America. The first U.S secretary of treasury and George Washington's right hand man. In fifth grade, hopefully you all can at least vaguely recall learning about the founding of the United States. Well now that experience has come alive. The writer and performer in the Original Broadway Cast, Lin-Manuel Miranda, who also the creator in the musical ‘“In the heights” got the idea to write a musical for America’s founding father Alexander Hamilton while on vacation reading Ron Chernow's biography on Hamilton. The following year of In the Heights’ success Lin went on to win a Tony and was also invited to the White House by President Barack Obama. He was sent to perform one of his critically acclaimed songs 96,000 in front of the stage. Though he wanted to go through with this idea of writing a musical on founding father Hamilton. He surprised the whole audience including the President and sang one of his very first drafts of the song “Alexander Hamilton” as Alex Lacamoire was informed and played the music for it. The audience was in shock, and some of them began to laugh. Before the performance he gave some background on it and they gave some chuckles as he states that his thought of Alexander Hamilton embodying hip hop and his creation of a new hip hop album, incorporated with these things. Years later he has continually proven them wrong. As time went on and he began to develop the cast, music, he was kept in close acquaintance with Ron Chernow. He gave him a preview of the show, and after he commented his astonishment of such a diverse cast. He thought of a predominantly white actor/actress theme. He explained his vision of this diversity, explaining history of then with the people of today, signifying our ongoing change as a whole, as Nelson Mandela said “Education is the most powerful weapon which you can use to change the world”. In 2015 when the Original Broadway Cast album dropped, the theatre community went crazy. The infusions of rap and pop, with theatre. Acting, dancing of such intense choreography. It went on to become one of the top selling musicals, if not the top of all time. Everybody who was anybody went to see it. From celebrities like Beyonce and Chance the Rapper to the President of the United States Barack Obama. It took the world by storm. Even people from other countries begged to listen and see the story of America's founding father Alexander Hamilton. Now 100 Reagan students will get the chance to the see this famous musical on November 8 at Private Bank Theatre in Chicago, Illinois. Ms. Baker and Mrs. Holtgrieve applied for a grant in about April of 2017, for their love of theatre in order to see Hamilton live, sponsored by the Gilder Lehrman Institute and the Rockefeller Foundation. About 200 students applied, but a fair and square lottery was held and 100 students were chosen from all grade levels to see the musical. Even though the students won the Hamilton tickets, there are some minor setbacks and it’s not all fun and games. Each eligible student needs to attend six mandatory ACP lessons learning more about the show and primary/secondary sources to then, perform an original piece based on the primary sources they learn about in the first few lessons. They will then perform it and be recorded. The best performance picked will be sent out to the “Hamilton” Chicago cast and the Gilder Lehrman institute. Thus they may be picked to perform for over 1000 people. They also have to be willing to write an essay before and after the performance stating what they’ve learned altogether; however, a perk is each school will be able to ask ten questions to the cast . “Hamilton” has been in the Chicago Metropolitan area for quite a while. The final performance in Chicago will be May 2nd of 2017. That means there’s still a chance to see it. Soon enough it’ll come on tour to Milwaukee!! By this time the grant will become open to the “Hamilton” tour areas, so Milwaukee integrated schools may be able to get the chance to see it again another time! Ms. Baker and Ms. Holtgrieve applied for the Hamilton grant in early April of this year. It was important to take into consideration the other views on the Hamilton grant, to see some of their views behind it and students who were chosen for this extraordinary event. It is all at your fingertips. Why did you apply for this grant? Baker: I, as a theatre teacher really love musicals, and I’ve been obsessed with Hamilton since it came out two and a half years ago. I couldn’t imagine students not being able to see it. I knew of the fact that Gilder Lehrman were giving grants in New York for students to go see it. I’ve also worked with them in the past for a U.S history for a course in England, I thought how cool would be if they included it in chicago? When I found out that they included Chicago I immediately applied. It only took ten minutes! Have you ever been to hamilton? If so what was your experience and why do you think Reagan students should experience it? For the students that didn’t get picked, do you think they should still take the time and if money allows to see it? Baker: Yes, if you ever get the chance to go to chicago they have a Hamilton lottery, where they auction off tickets for ten dollars, to apply the day before. Though there are other amazing live theatre performances and thought provoking shows. What is the most influential part of the show to you and why? To the people who dislike musicals what do you say to them? Baker: They’re entitled to their own m opinion, I have an extreme passion for theatre. Hopefully they can one day find their own extreme passion. Baker: I can never say I have a top one, but I do have a top five that would be Billy Elliot,Lion King,Les Mis, and Rent because I was in late high school, early college at the time and it had some pivotal and controversial themes that became more talked about. What would be your dream performance for one of the students to perform in front of the Chicago Hamilton Cast? Baker: Whom ever to decide and to be excited and pumped to do it. Amazingly talented students. Last but not least how does the diversity of the cast speak to you, as the MPS district and its diversity as well, does it give some sentimental value to students and what they can achieve? Baker:I love that Lin-Manuel Miranda has been very vocal with casting as much humans of diversity as possible. He’s taken some pushback on that and he hasn’t caved. Still going forward with a vision. Theatre is for everyone, and is apart of our lives. When did you get into Hamilton? Komorwski: Well as you know I’m an actor at first stage. When “Hamilton” came out in 2015 that was the hot new topic. My cast at the time were listening to it and telling me to listen to it. So i said okay and I looked it up, and I adore history. So dang having musical theatre and history combined into one sounds really,really great. So I listened to it and I fell in love with it. I basically listened to it everywhere. Especially being in theatre it became a big part of my life and also a big thing for the theatre community, some of the best memories come from that. Why do you love this musical so much? Komorwski: The technical aspect of it, was one of my favorite parts of it. How lin took this six hundred page probably more book and made a rap hip-hop musical out of it, it’s just really appreciating to see how complex is it. Also of course the singing, the dancers, and just the whole thing. How he created it. Though definitely, it has to be the lyrics is why I love it so much. And the intelligence into making it. Having this extraordinary opportunity to see it what are you most looking forward to? Komorwski:I am looking most forward to sitting in the auditorium , the lights go out and hearing the beginning of Alexander Hamilton and the lights going back on. I’m gonna be like ‘Oh my gosh I’m here’ Like I’m finally going to be there. What performance would you like to do to perform in front the cast? Komorwski: I also write poetry, I’m apart of the spoken word club at school. I’d like to write a spoken word or slam piece of someone in Hamilton’s universe. Narrowing it down by the time I learn more about him next week. If you had one question to ask Lin-Manuel Miranda correlated with Hamilton & himself as a person what would it be? Last but not least, how excited are you? Komorwski: I am very excited. I am super excited to take my shot, up town, in the room where it happens, with my schuyler sisters. I’m ready. More of an explanation on the “Hamilton” lottery in chicago! There’s an official website for it listed below, you enter yours or your parents information. The lottery is good for two tickets. You have to apply for the tickets two days before. You also have to be in the chicago area (at the time not living there), and you only have an hour to pick up the tickets if you’re chosen or else they are lost forever. Though it’s a great way to experience it and try your luck! The whole experience isn’t just the musical, don’t forget the origins from the biography "Alexander Hamilton” by Ron Chernow. It gives a more indepth explanation of his life and career. How he started, how it ended. The understanding of some of the falsifications in the musical to make it more dramatic, it’s theatre for goodness sakes! It’s also just a good wholesome educational book to read. Like the book versus movie comparison. Though it’s someone's real life, reenacted and sung by a whole variety of different people with minor complications, which is how life could be. Remember as well, Hamilton is widely known but there are so many live theatre performances that are just as amazing as Hamilton, don’t turn a blind eye that’s just in front of you in your own area. Don’t stay oblivious pay attention and do what you can do. Storms of violent winds and heavy rain resulting in massive amounts of destruction have swept through much of the Caribbean Islands and the United States: hurricanes. Storms including Hurricane Harvey, Irma, Maria, Katia, and Jose have caused extensive devastation in the Western hemisphere. Though casualties are still climbing, homes are still being destroyed, and trauma is sweeping the population in the directly affected areas; destruction shows no border. Much of the world has been impacted, including Reagan High School. Students have families in the paths of these hurricanes and teachers are using these events as an educational evolution. A sample of 200 Reagan students indicate whether they have been indirectly affected by the hurricanes (family or friends in dangerous locations) or they have not been affected at all. For Reagan junior, Lauren O’Hear, sleep has been difficult. O’Hear’s grandparents live near the coast in Fort Myers, Florida, a direct target of Hurricane Irma. Environmental Systems and Societies teacher, Zach Tillman, believes strongly that Reagan students need to be educated on environmental issues, especially in the midst of major natural disasters, such as the hurricanes in recent news. “I am a fundamental believer that education is the solution to everything,” said Tillman. With a curriculum heavily based on relevant scientific evidence of ‘the now’, the hurricanes, as tragic as they are, have presented a positive educational opportunity for Tillman. “I want to instill in my students the idea that planning is of utmost importance. With that understanding, they’ll literally have the ability to change the outcome of events like these hurricanes in the future.” Though basic knowledge is important, Tillman finds that applications of these fundamentals are of equal significance to developing minds. Teaching this course is tough, especially when politics come into the discussion. Tillman expressed this difficulty: “I'll be totally honest, I struggle when I talk about politics in class. I am a very opinionated person, and know that I walk a fine line. It’s my responsibility not to offend anybody. I know that there are students in my class who go home at night to parents who completely support what the new leadership is doing. I always have that in the back of my mind. All I can do is shut my mouth and show the evidence.” Ultimately, it’s the facts that do the talking. 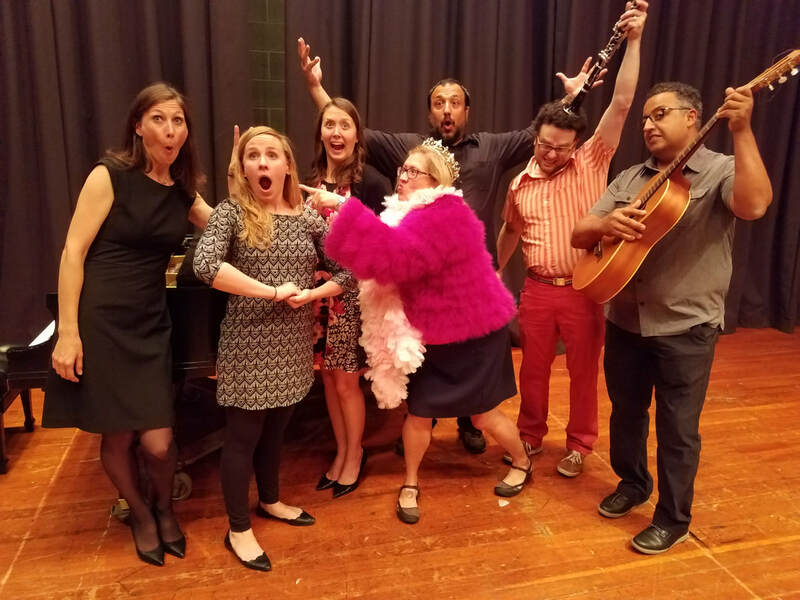 The third annual Music Department Faculty Recital kicked off the Ronald Reagan concert season with a bang. As always, the music department staff—Adam Murphy, Erica Breitbarth, Heidi Wylie, and Amanda Draheim—performed their chosen pieces. 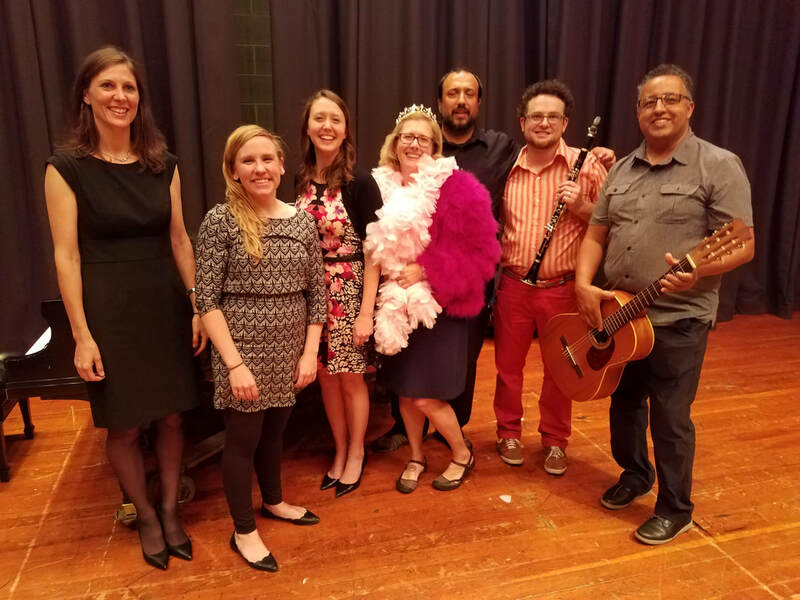 This year, they were joined by Carrie Baker, Nicolo Onorato, and Redouane Sabbar in order to showcase other faculty musical talent here at Reagan. The one-hour recital showcased many different pieces, such as an opera duet, Romantic-era music for clarinet, Arab-Andalusian fusion, and as always, “Ode to Sholes” played on typewriter and iPad. All of the performances are so professional, fun, and unique that it makes one wonder how exactly the faculty practice to prepare for their performances. Everyone has their own method, and it is always helpful to receive tips from those that went to college for music, or who are just good at performing! Singers and instrumentalists alike know that if you do not practice, you will not get better at performing. Some people, though, do not exactly know how to practice correctly. Breitbarth, Wylie, and Murphy — Reagan’s resident choir and band instructors — have multiple tips for their students to be successful with practicing so they can have a stress-free performance. Whenever she receives a piece of music that she has never listened to before, Breitbarth usually finds multiple recordings of the piece and listens to them. This is a helpful method that allows the performer to internalize what the piece is generally supposed to sound like. If she has heard the piece before, she avoids recordings until she has played through it a few times. Murphy pointed out that this helps build sight reading skills and allows one to discover the piece for themselves. In regards to singers learning a new piece, Breitbarth and Wylie both recommend singing it first on solfeggio (assigning syllables to notes to make learning pitches easier) in order to understand how the piece works musically before understanding how it works textually. Murphy always looks at and notes the following elements in his music before playing: key signature, time signature, accidentals that do not appear in the key signature, odd rhythms, repeat signs, tempo changes, dynamic markings, and articulation. He also plays the correct dynamics and articulation right away, because it is easier to form good habits from the start than break bad playing habits later. Once the piece is learned and real practicing begins, Breitbarth, Wylie, and Murphy all tend to focus on and isolate trouble spots that appear in order to improve them. Breitbarth specifically uses the phrase “synthesis, analysis, and synthesis,” which guides how she practices. This means that she first focuses on the big picture — performs the piece and circles / notes spots where she had difficulties. Then she breaks it down and only focuses (analyzes) the struggle areas. Then once the little picture has been obtained, she goes back to the big picture again, fully synthesizing it. Using a metronome and slowing down helps quite a bit, too. The instructors agree that recording practices is important, because as Breitbarth says, “the first time you listen to yourself play the piece should not be a recording of you playing at your performance!” Listening to a recording of your practice allows you to pick up on even more things to improve. Solo practicing is one thing, and then there is collaborating with an accompanist. What exactly does good communication look like between accompanists and performers? All instructors agree that coming prepared to practice with your accompanist is the most important thing. They are always mindful to be prepared, because it is disrespectful if they are not. Also, if they were not prepared they are not only wasting their time but also the time of the accompanist. They always keep in mind that they are collaborators with their accompanist and not better than them. Wylie specifically pointed out that she always communicates her musical abilities; for example, if she needs to breathe in a certain spot and it is not marked in the music, she tells her accompanist! Breitbarth thinks synthesis, analysis, synthesis again. Murphy brought up the idea of eye contact, and makes sure that he sets himself up on the stage so his accompanist can see his face. Faces have a lot of cues, and it also lets the accompanist know when you are about to start, cut off, or breathe. Practicing with an accompanist recording is also something the instructors do before meeting with an accompanist so they know exactly what the accompanist’s part is. ​Breitbarth and Wylie both performed duets at the concert, and while practicing for a duet they keep multiple things in mind. First of all, they only perform duets (or trios, quartets, etc) with someone that they trust and know well. Second, they get to know their music inside and out so they can enjoy the rehearsal process and focus on improving general musical and technique elements rather than pitch accuracy. They also make sure they are involved in the artistic and feedback process, communicating with their partner in a professional and musical manner. Wylie pointed out that it can be hard to be critiqued (especially on something as personal as your own voice) but you need to be open minded so you can improve overall as a performer. Wylie continued, saying that if her partner was the one making mistakes she would try and be supportive (yet firm, because preparation is important) saying things like “I think I would approach this part like this… what do you think?” That is a very helpful tip, because duets can be fun, but also equally frustrating if everyone is not doing their part. It may be frustrating if your partner has not been practicing, but find out why before going straight to the blame zone. What if (and choir/band instructors alike hope this does not happen) you have not practiced for a while? How do you approach your piece? Here are some tips from the pros! First, have a plan for what you want to accomplish. If you just jump into the piece without having a plan and without warming up, you will not have a successful practice. Practice the parts that actually need to be practiced. It is easy to practice the things that you already know. It makes you feel good about yourself and it boosts your confidence; however, in the long run that will not help you. Breitbarth says, “you could have an hour long practice session that accomplishes nothing, versus a ten minute practice session that accomplishes a lot because it focuses on what actually needs to be practiced.” Murphy added on that productively practicing for at least ten to fifteen minutes every day will sow the seeds for longer, more focused, and safer practicing in the future (after all, no one wants a vocal or hand injury!) Also, Wylie said that you should not be super hard on yourself if you don’t sound absolutely amazing! It is common knowledge that if you have not practiced in a while, of course you aren’t going to be very good, so don’t beat yourself up about that! Have a plan and do the best that you can. Now, one can only assume that these three knowledgeable instructors followed their own advice…but another more interesting topic is why exactly did they pick the pieces that they performed? Was it a simple reason, like they just enjoyed the piece, or was there more to their decision? Both of those components influenced the music that Wylie chose to perform. Breitbarth and her really loved “Dôme Épais” from Lakmé, so that was one of the reasons they wanted to perform it. Wylie also wanted to sing something that showcased her classical sound, particularly because her next piece was from an entirely different genre. “Your Love is A Song” by Christian rock band Switchfoot was the second piece Wylie performed. She chose it because she wanted to step outside of her comfort zone, because according to her she never performs pieces like that. She also chose the song because it was personally meaningful to her. “To be honest, my faith is really important to me!” Wylie said, and this piece allowed her to not only express herself but also have fun doing it! In regards to Breitbarth, she not only loved “Dôme Épais,” but she also wanted to do a duet with Wylie. Her second piece, “Hear ye, Israel!” from Elijah, was chosen because the choirs are performing sections of Elijah this spring, and she wanted to give a preview. Also, it is one of her favorite oratorios and it is really fun to perform! “Anything You Can Do I Can Do Better” from Annie Get Your Gun was Breitbarth’s last piece, and another duet (this time with Carrie Baker). They both chose the piece because it was fun, and they could apply their own personal creative flair to it. In regards to Murphy, playing his piece “Ode to Sholes” at the faculty recital has been a tradition ever since the event began three years ago. It also showcases an interesting genre of music, often known as avant garde. Music that is avant garde is most definitely interesting and will make you stretch your ears. In the future, Murphy hopes to eventually play an avant garde instrument called amplified cactus. Yes, it is exactly what it sounds like — a cactus with microphones placed around it to pick up the sounds that the cactus makes when the performer “plays” its needles. Murphy chose his other piece, Drei Fantasiestücke, because the last time he played it was for his senior recital in college twelve years ago. He decided to bring it back because some of his past and present students played / will be playing it, and he wanted to show how it sounds when performed officially. Want to hear how excellent all of the performances were? Featured below are the recordings of the Faculty Recital pieces with a small summary of each piece! Enjoy! Lakmé is an opera set in India, and “Dôme Épais” — also known as the flower duet — is in the first act. The character Lakmé and her servant sing this duet in a boat that is floating down a river in a sacred garden surrounding a ruined Hindu temple. In this comedic opera, General Stanley sings this “patter song” in order to establish his credentials as a British captain to a group of pirates who want to marry his daughters. Drei Fantasiestücke for piano and clarinet was composed in 1849 by Robert Schumann in the span of two days. Each movement consists of a unique emotion that is explored and developed with sudden dramatic changes. Murphy plays movements one and three on an orchestral clarinet in A, compared to the traditional band clarinet pitched in B♭. Elijah is an oratorio (think opera but without the staging and costumes) that tells the story of the Old Testament prophet who seeks to rebuke Israel for abandoning God and worshipping the idol of Baal. This specific aria is sung by a soprano, and who moves fluidly between the aria and interjecting recitative as she sings the role of omniscient narrator and the voice of the Lord directing His people. Sabbar plays an Arab-Andalusian scale in three different ways. The first on classical acoustic guitar, then clean electric, and lastly electric with distortion and sustain. Andalusian music exists in many different forms, one of which is the current flamenco style heard all over the globe. Over many years it has taken on different shapes, and has been fused in current rock and pop music. Annie Oakley is a female sharpshooter and the protagonist of the musical Annie Get Your Gun. She has quite the tumultuous relationship with fellow performer in Buffalo Bill’s Wild West, Frank Butler, who she sings this song with as they are about to begin a shooting match. Instead of shooting, though, they get into a fight about who is better at different tasks. Baker and Breitbarth changed a bunch of the lyrics to fit their “sometimes competitive yet close relationship as directors of the musical at Reagan." This is an experimental improvisation that pays homage to the inventor of the typewriter and the QWERTY keyboard, Christopher Latham Sholes. Murphy also utilizes an iPad, (which uses a digital QWERTY keyboard) to create synthesized sounds using the TC-11 touch synthesizer app which was invented by UW Milwaukee professor Kevin Schlei. Reagan’s Link Crew has risen tremendously over the years with a built foundation of support and transition for freshmens’ lives at Reagan through upperclassman guidance. Link Crew’s rising foundation soars above school expectations. Throughout their constant efforts, Link Crew assembles together upperclassmen to impact and guide freshmen with their experience at Reagan. Their constant efforts revolves around integrated activities lead by eager upperclassmen to provide an impactful experience for freshmen. Kristoffer Puddicombe, Betsy McGinnity, Jessica Overland, and Oscar Silva are co-facilitators that work closely with the Link Leaders and freshmen. In several instances, Link Crew’s efforts for creating change towards a freshman's experience is coordinated with the young adult leaders. Link Leaders Katie Gillingham, Alex Navarro and Eva Szocik were eager to share their experience. Effort, commitment and dedication have proved vital to ensuring Link Crew is a successful bridge in the transition for Freshmen. Although Link Crew focuses on hard work, it brings joyful moments amongst this program. Through the eyes of a link leader, Eva Szocik said, “It’s a lot of fun and good to be a part of the program." A new school year has begun here at Reagan, which means that the fall One Acts are right around the corner. The One Acts are student-written plays that are one act long, and every year Reagan chooses two to produce. This year the two that Reagan chose are: “The Grey Area in My Life” and “Carte Blanche.” Gabbi Schmit, a senior who is the director and writer of “Carte Blanche,” said, “They are contemporary works that are related to what could happen in a modern society. I’m not entirely sure how Baker is directing her one act, but mine is more based on the human condition and the constant want of freedom based on the barriers set before us.” The other One Act, “The Grey Area in My Life,” is about a girl moving in with a friend of hers after getting out of an insane asylum. Regis Brown, a freshman that plays Peter, says that his character is pretty much a good guy. This year, the One Acts are slightly different than in past years. Katie Gillingham, a junior that is part of the ensemble or ”The Grey Area in My Life,” told me that there are some changes in the types of One Acts that are being performed this year. “Generally, there is one humorous and one serious One Act that they choose, but this year, both of the One Acts are more serious than in previous years.” Gabbi also said that the One Acts are less humorous than in past years. Why is this the case this year? It maybe because of what the IB theatre students are writing about. Talking to Katie, she said that a lot of the theatre students find it easier to write about more serious topics. 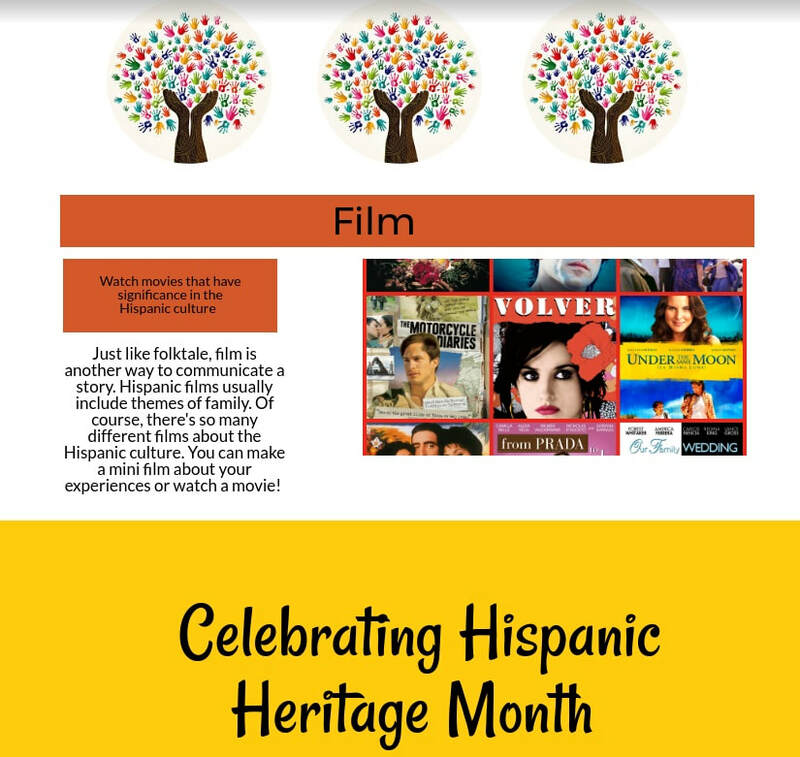 ​This month kicks off the Hispanic Heritage Month starting September 15 and ending October 15. It’s a month to come together to celebrate the beautiful traditions of Mexico, Central America, Latin America, South America and Spain. 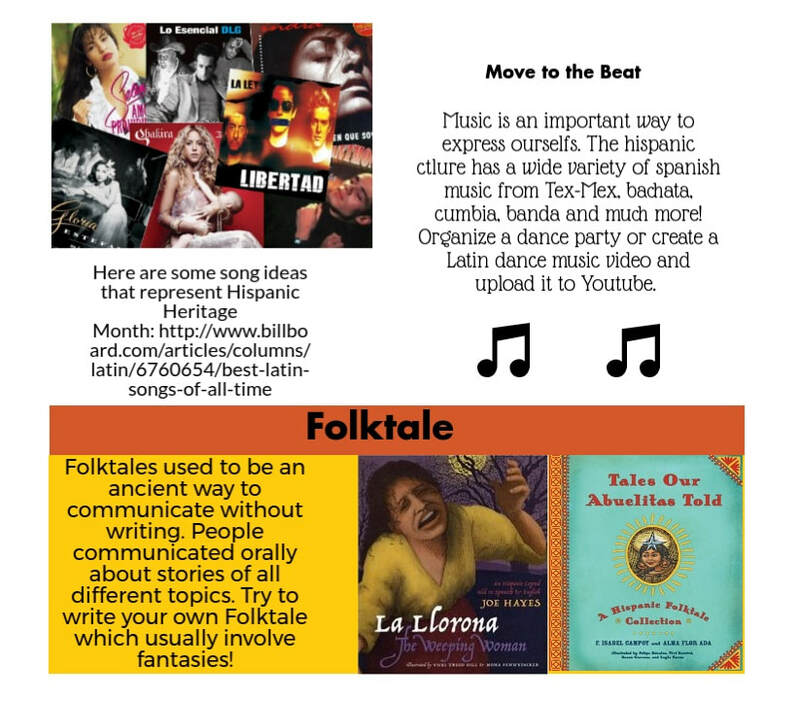 This month is a time about coming together to share the special aspects of the Hispanic culture from the delicious foods, the amazing music, and the beautiful languages. Hispanics and Latinos influence all other cultures through the deep connections they have established. In the following weeks, it’s about celebrating the cultures of these people, not focusing on the stereotypes some have of those cultures. They are people with deep roots in the world and are so much stronger than the hate and ignorance. Reagan has a diverse student body from different parts of South America, Central America, and so on. Many students think that those attending Reagan are only from Mexico, but that is not entirely true. There are Hispanic students from Puerto Rico, Cuba, El Salvador, and so many more countries. The 2nd Annual Latino Heritage Program sponsored by the YES Club at Reagan was created to celebrate the people that come from these countries through music, dance, and poetry. Last year’s program included completion of dances around the Latin cultures including Spanish music with folklore traditional garments. The students that represent the Latino Heritage Program show determination and hard work to create an unforgettable show. This year more students are participating in this special event than ever before. 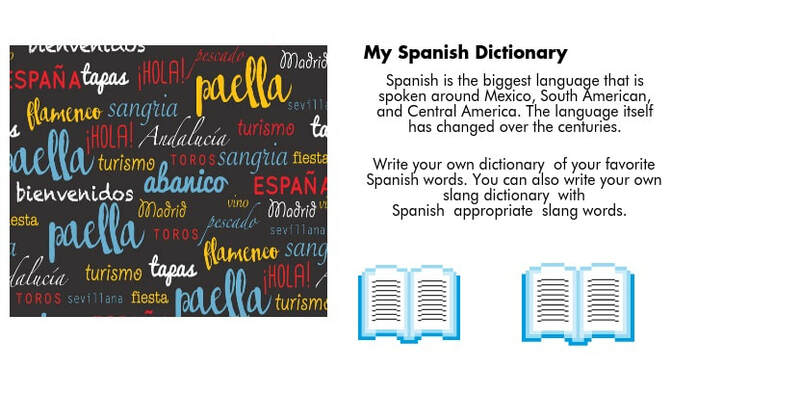 Hispanic Heritage Month is celebrated around the world in so many different wonderful ways. Nevertheless, in the United States the growing tensions may feel unbearable and absolutely frustrating for many Hispanics at the moment. In times of need people may feel unimportant and most probably feel silenced due to the enormous conflicts we are facing. Nobody should feel disrespected because they are different than other people. Iconic people and idols such as Cesar Chavez. Dolores Fuentes, Frida Khalo, and Selena have paved the way to make Hispanics feel proud of where we come from. 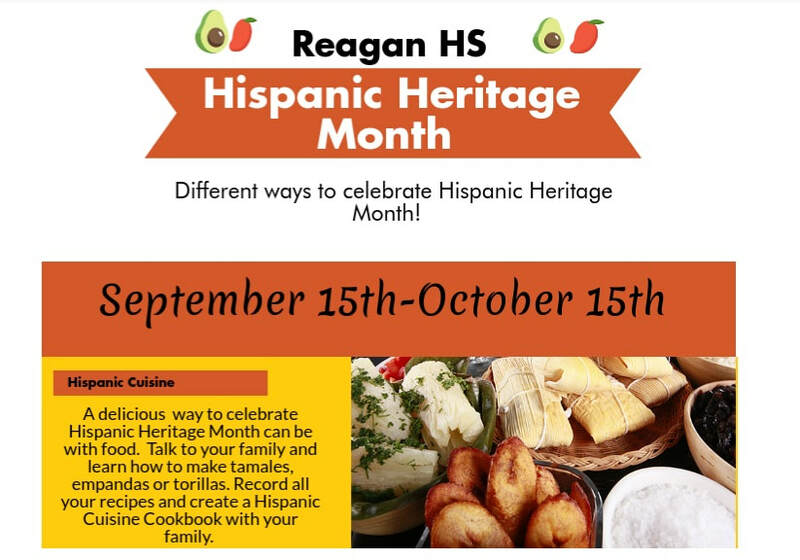 At Ronald Reagan, students are continuing by showing love and pride of where they came from at the Hispanic Heritage Month. Ser Hispano es mucho más que la comida, la música y los bailes. Se trata de unirse y compartir las muchas luchas y logros. Lo que nos hace tan luchadores es la capacidad de volver a subir cuando las cosas están terribles. No importa qué, los Hispanos seguirán luchando para ser amados y respetados en el mundo. DACA is Gone. Now What? On September 5, 2017 the current administration had made the decision to end the program known as DACA (Deferred Action for Childhood Arrivals). However, after this course of action, many were left with many unanswered questions. What is DACA? And why did the administration decide to end it? And what does this mean for the thousands of Dreamers who were protected by the program? And what repercussions did this act have on the world? DACA was implemented in 2012 by then President Barack Obama, as a protection for students like us that were brought to the United States where they were young. These young people face many challenges as being considered "undocumented immigrants." Barack Obama saw the potential in these young minds and decided that even though the DREAM act wasn’t passed, he had to take action by his own means. He used his Constitutional executive power to create the Deferred Action for Childhood Arrivals, also known as DACA, in order to make it easier for Dreamers to get a college education. President Obama’s Executive Order helped over 800,000 dreamers come out of the shadows in search of their American Dream. The new program blossomed as the Dreamers went to college and joined the workforce without fear of deportation. While DACA was successful both parties agreed there was a need for comprehensive immigration reform. This program was a game-changer because Dreamers, who only wanted to come to get an education, could go to college and study without the fear of being deported that many immigrants face. So What Happened, And Why? Five years passed and no with multiple disagreements no immigration reform was passed or at least something to truly replace the DREAM Act. The power of the Executive Branch had shifted into the hands of our current president, Donald J. Trump. With the new administration came major changes to policies that were meant to cleanse the country from the previous presidency’s reforms. Among these changes were the removal of flood relief programs, the attempted repeal of Obamacare, and officially killing the program known as DAPA (Deferred Action for Parental Accountability) which was going to become an extension of DACA for undocumented parents of citizens. Sessions justified the decision to repeal DACA by saying it was a matter of public safety and enforcing the law. "The Department of Justice cannot defend this overreach. There is nothing compassionate about the failure to enforce immigration laws. Enforcing the law saves lives, protects communities and taxpayers, and prevents human suffering. Failure to enforce the laws in the past has put our nation at risk of crime, violence and even terrorism. The compassionate thing is to end the lawlessness, (and) enforce our laws." The end of DACA was imminent, and the countdown had begun. The ending of the program was the beginning of a countdown to replace it before its beneficiaries lose their protection. Congress has begun to debate immigration reform that could offer protection for DREAMers, a move that has bipartisan support and a 73% approval rate across the country. The new act has been named the SUCCEED (Solution for Undocumented Children through Careers, Employment, Education, and Defending our Nation) Act to be able to replace DACA. The Act was introduced by Senator Thom Tillis (R-NC). The legislation seeks to help give some of the benefits DACA provided but through Congressional action. Along with potential legislation there is also lawsuits filed against the Administration’s actions on behalf of multiple states as well as individual Dreamers. The fallout from this decision to repeal DACA has been devastating, but DREAMers and the Immigrant community remains hopeful that replacement legislation will pass and will continue to offer the protections that are so important to millions of people in our country and City. Undocumented Students in Milwaukee can be assured that MPS will not share their immigration status, as Milwaukee Public Schools came out as a Sanctuary District. If you would like more information about DACA and Regan Student Action you can visit Social Justice Committee on Wednesdays in Ms. Holtgreive’s Room and YES Club on Tuesdays and Wednesdays in Mr. Silva’s room.